I'm back from my CNY break! *burp* It's been a great break despite some hiccups here & there :) My 2 cousins were complaining that it takes me ages to get a blog post up; to be specific, they commented that it takes me 3 months to get it up =.=" Of course, there are several reasons why I take such a long time to get my blog posts up. I'm either busy, not in the mood to blog, or just too lazy to sit in front of the computer to think of what to write. Hahaha. The yee sang here tastes just nice. It's not too sweet, nor too sour. 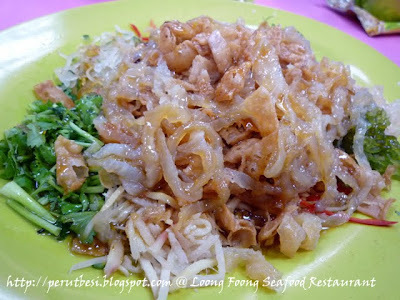 The ingredients are fresh & in my opinion, the crispy bits play a large role in making the yee sang "fun" to eat! 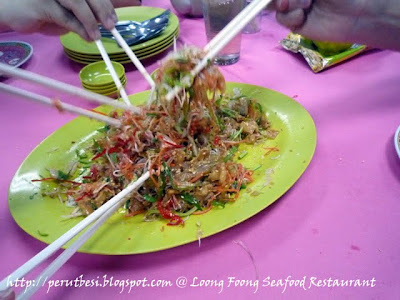 It is believed that the higher you toss the yee sang, the better fortune/wishes you shall receive. Each time we toss the yee sang together, we will say out "good wishes" for ourselves & each other. The good wishes could consists of words like "best in health", "more wealth & fortune", "get good grades in exams", & "climb up the corporate ladder quickly", mostly said in Cantonese/Mandarin. 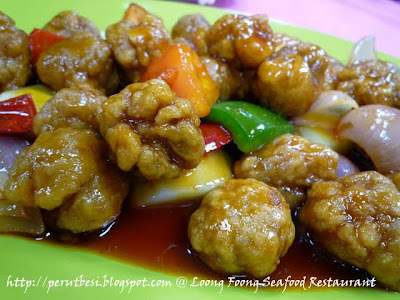 One of the BEST sizzling plate beancurd I have ever had! 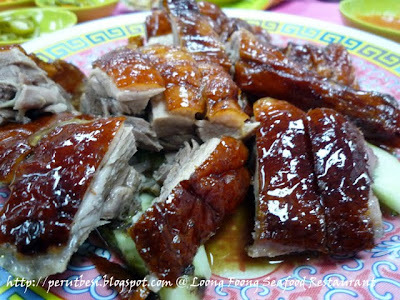 Seriously.... the fragrance of the gravy was just so irresistible that Theng & I finished up all the left-over gravy! 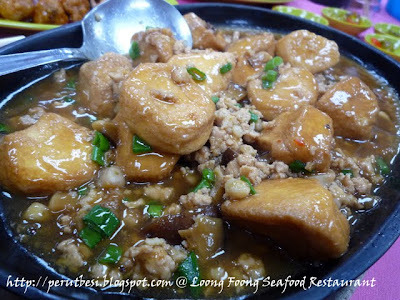 The marriage of minced meat with dried cuttlefish in the gravy gave the dish a VERY unique & unforgettable taste :) Thumbs-up! If you fancy beans, this will be one dish you won't want to miss. 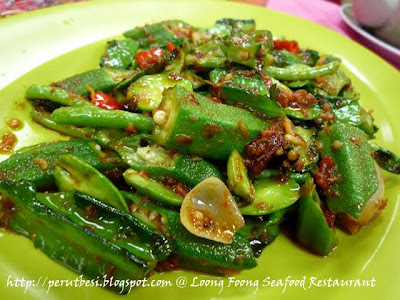 You'll find lady's fingers, petai, long beans, & four-angle beans, harmoniously stir-fried with sambal belacan. I don't know about you, but I love petai despite the stench that it leaves in your mouth & whatever output you produce after the meal *lol* The lovely green & red colors of the dish just makes it even more appetizing than it sounds and smells. 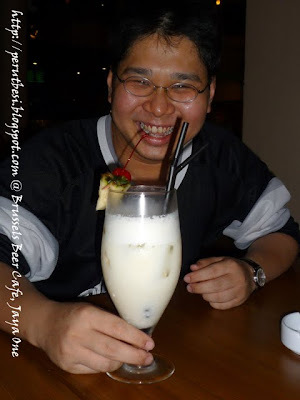 Overall comment: Pretty good food & ambiance! It's one of the more happening & popular hang-out places for the young & old alike. As its name speaks, it's mainly for beer-enthusiasts, but they do serve decent western food for those who are there with their beer-drinking friends. 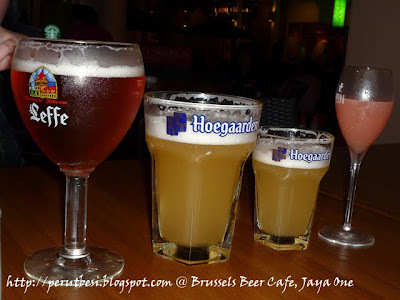 I haven't been to Brussels Beer Cafe before. The other times I was in Jaya One was for either dessert or I just happened to be at some other restaurant. 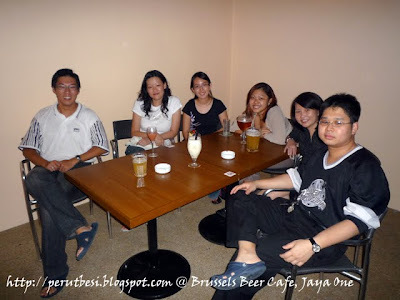 This beer cafe seems rather popular among youths & young adults. Almost every night, this place will be packed up 'til after midnight. 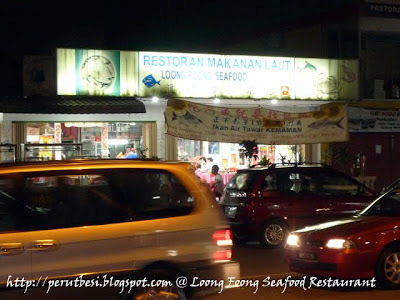 It's a very prominent & easy to spot area at Jaya One, so if you're there, do try this place out. 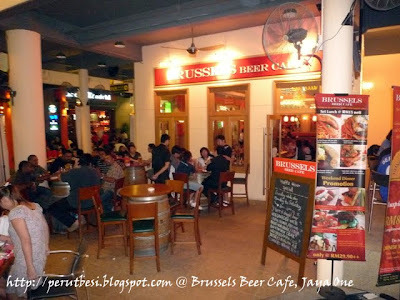 Even if you're not a beer-lover, I'm sure you would enjoy their finger food & a substantial range of main meals. Some of us have known each other since kindergarten/primary school! 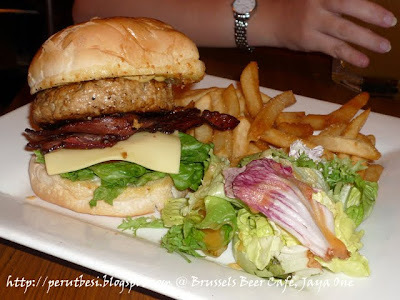 "Brussels style homemade pork patties wrapped with bacon strips & topped with melted cheese. Served with fries." 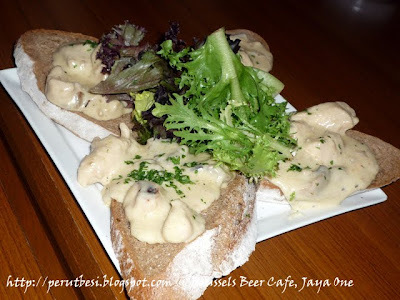 "Commonly known as 'vol au vent', it is an open topped sandwich topped with creamy baked chicken with mushroom & meatballs." [Ruth] I tried a bit of this & it's really delicious :) Slightly more expensive compared to the pork burger, so if you're into something light, this could be your pick.